The exhibition floor has been utter chaos with media and the public all rushing to get in booths in order to see the latest and greatest behind some of the most popular gaming companies around. One of these seemingly never-ending lines gave way to Capcom’s most anticipated title for Spring 2011. 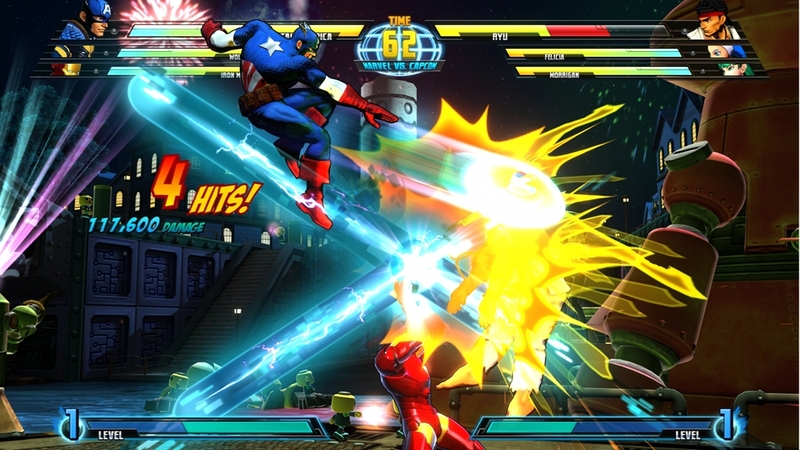 We at Skatter Tech got our hands on a demo for Marvel vs. Capcom 3, a personal mission of mine, and Ms. Harvey-Gurr and myself took hold of our joysticks and went all out. A few months back when the announcement for the installment for the MvC series was released, Skatter Tech brought you all the details on what exactly the big deal was. This sequel made gamers everywhere squeal simply because it derives from one of the best arcade-fighting games of all time: Marvel v Capcom 1 & 2. Marvel v Capcom 3: Fate of Two Worlds promises to be the most exciting yet, including plenty of characters from popular next-gen titles of both universes. We had already known Deadpool (Marvel) was a confirmed character because of the latest trailer going into this demo, and now Felicia (Darkstalkers) has also been revealed. Capcom finally gave fans the opportunity to truly experience the way the game feels compared to the previous two titles and hints at how large the roster will be. Plenty of locked character slots suggests MvC3 will be as large as suggested, with around 30 choices. 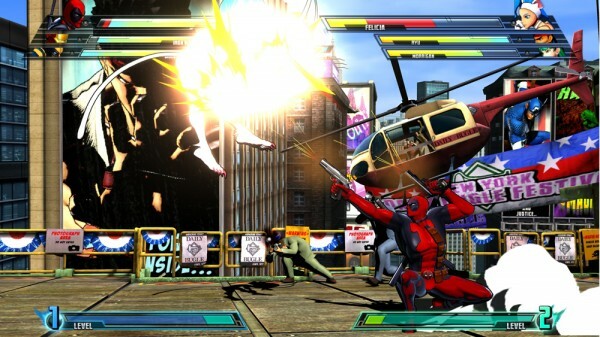 The ones available in the demo were Morrigan, Deadpool, Wolverine, Hulk, Chris Redfield, Cpt. America, Iron Man, Hulk, Ryu, Deadpool, and Felicia. Every character was beautifully detailed and the environments maintained the same level of vibrant colors as its predecessors. Besides looking great and having plenty of balanced characters to choose from, a concern with MvC3 was whether or not it would play the same way as MvC2. I was relieved to see Ryu jump ridiculously high and that I could execute any of Deadpool’s combos with ease. With eight buttons on the arcade-pad, it was simple to combine any of them to switch out fighters (3v3) to performing a hadouken. I should add that the fighting mechanics are similar to the more recent Tatsunoko v Capcom (Wii) rather than the Street Fighter IV series (360 and PS3). The expected action-packed, over-the-top fighting style of the genre has successfully been kept alive for this sequel with seamless combos and hyper-active specials. There is an overwhelmingly long time between now and MvC3’s release on the Xbox 360 and PS3, and gamers are going to have a hard time being patient until the release date. Since it will be a long wait, however, we can count on Capcom whetting our appetites with plenty of updated information and new character announcements. There still are lots of questions remaining, like the online gameplay content, that still need to be answered. 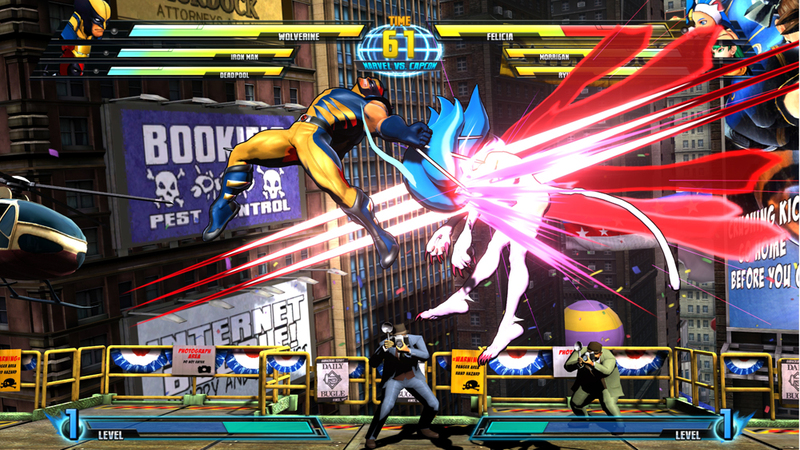 Let’s keep our fingers crossed that MvC3 can successfully revive the classic saga.